Let me preface this article with some words on Boogie2988, a face on the gaming side of YouTube that made himself somewhat popular with his "Francis" character. He tries to appear as a nice guy on both his YouTube channel and on Twitter. One of his defining characteristics is to keep a centrist approach and not enjoying conflict within the community. However, recent events have made Boogie look less than enlightened and almost opportunistic. Recently, YouTuber JonTron said some very unsavory comments towards other races as well as immigrants in an online video. The text of some of his comments is written out here. Following that was a lot of fallout with his voice work in the upcoming game from Playtonic, Yooka-Laylee being taken out in response. "Maybe I'll learn from them, maybe they'll from me, and we'll land somewhere in the middle. Wouldn't that be swell? Because the middle is a great place to be!" This is a nice idea, but it doesn't work here. The middle ground is "a great place to be" works in a debate about choosing what movie you want to watch with your date at a movie theater. She wants to watch a romantic comedy. You want an action movie. Why not meet in the middle and watch an action comedy with some romance, then? That is indeed swell. ...Well, not if it's a matinee of Stop! Or My Mom Will Shoot, but I'm getting off track here. But, really, what is the middle ground between "we should have an White-ethnocentric country" that JonTron uttered (yet in our post-truth world there's even those who disagree that that was even said) and "no, that's racism?" How does one get a middle ground between a viewpoint that's racist and one that condemns racism? Is the middle ground simply being "partly racist" then? That's still awful and shouldn't be condoned. It's essentially saying "Hey. Dude. Why don't you be a little less racist, huh?" And then the other side going, "Okay, other dude. Why don't you try to be a little less black, huh?" That's idiocy and it's intellectually dishonest and dangerous at best, as just because there's an argument it doesn't mean that there's needs to be a middle ground to move to. But there's more. You can look at his Twitter feed for this gem. Boogie uses so many intellectually dishonest arguments that it's simply maddening. For one, there's a difference between disagreeing with someone for their views like being a conservative or a liberal and disagreeing with someone for saying racist gems like saying the wealthiest blacks commit more crime than the poorest whites or thinking we should purify the gene pool. So yeah, that's not a good look right from the beginning, and it's a pure unequivocal comparison there. Another, which is even more ridiculous, is comparing JonTron's views with Anita Sarkeesian's. 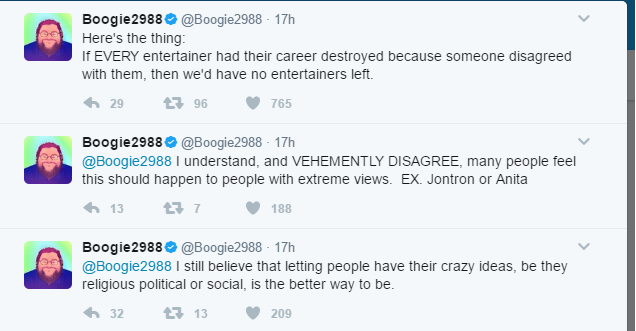 Both, to Boogie, are "extreme views." Maybe in the gaming world where any time calls for inclusion are desired, many gamers go "get your politics out of my gaming!" But in the real world, both of these views are hardly extreme; only one is. Instead, it's a flimsy argument that JonTron and Sarkeesian's views should be compared as one argues FOR racist ideas and one argues AGAINST sexism. One advocates those that don't possess white genes are somehow inferior (JonTron) while the other advocates against norms in gaming media deemed harmful towards women (Sakeesian). How is wanting less sexualized women in gaming extreme? How does that even compare to the dilution of the gene pool? What?! Where is the sense in this totally false equivalency?! In the real world, equality isn't an extreme idea, sort of showing how much Boogie here doesn't get it. He's stuck in his own world, like many who have grown up and stayed behind computer screens, and not in actual reality, and that's unfortunate! People are very much allowed to share their views no matter how bigoted they are (like JonTron did). People are also very much allowed to share their views on defending these bigoted views (like Boogie currently is). However, the nice thing is that people are allowed to share their views on both whether it's positive or not. If people want to call out racism as bad, they're more than enough to do. They can also defend racism like Boogie is doing yet either is too naive to understand that or is just playing us all like fiddles. Boogie's right, though. We shouldn't try to ruin JonTron's career. Jon's own words and beliefs might do that himself. And why would we want to anyway? It's not like JonTron is a racist with harmful views (but they're just opinions, bro!) who has a whole slew of young, impressionable kids as his audience. What could possibly go wrong with JonTron's views being read and heard by the young'ins anyway? Perhaps instead of saying "the middle" is the great place to be, Boogie saying "tolerance" could be the great place to be. he wouldn't be under fire such right now. He wouldn't seem to be a coward, afraid to upset one side of the argument or the other. It's not about SJWs or liberals. It's also not about being politically correct unless we no longer think tolerance is just the decent, humane thing to have. 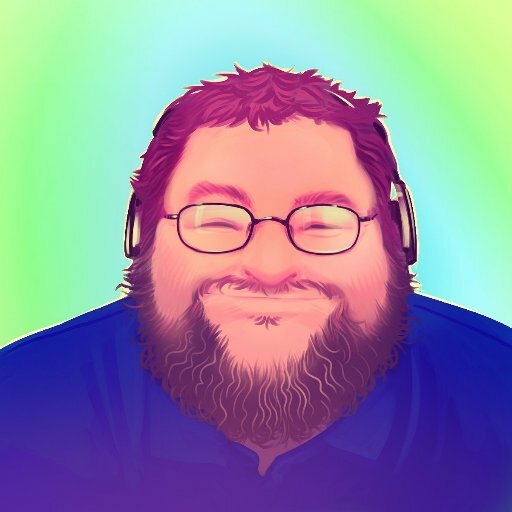 Boogie continues to portray himself as a nice guy, and many of his followers share that view, but how can one be a nice guy and defend or at least try to normalize hatred and bigotry? Not only that, but when one has a sizable amount of followers (a reason I'm even talking about this subject to begin with), especially young and impressionable ones like JonTron and Boogie do, who listen to what that YouTuber says, if one legitimizes bigotry and racism, this rubs off to their followers. How can one possibly be okay with that and still think they're a nice guy? A plethora of Kingdom Hearts games is coming under one package, due out March 28th for PlayStation 4. It's Kingdom Hearts HD 1.5 + 2.5 Remix, once again showing Square Enix's penchant for amazingly convoluted Kingdom Hearts game titles. Regardless, this package seems more than worth the price tag with everything included inside. Games are generally a means to relax, a means to unwind. However, sometimes they're a way to challenge a player to a point of absolute frustration-- the type of frustration that has one gnashing their teeth, slamming their fists to the ground, and pounding their heads through a wall with such unabashed rage! GAAAAAAH! Some tasks are tough due to requiring a level of skill that many gamers might not possess. Other tasks are tough due to being ridiculously time consuming. 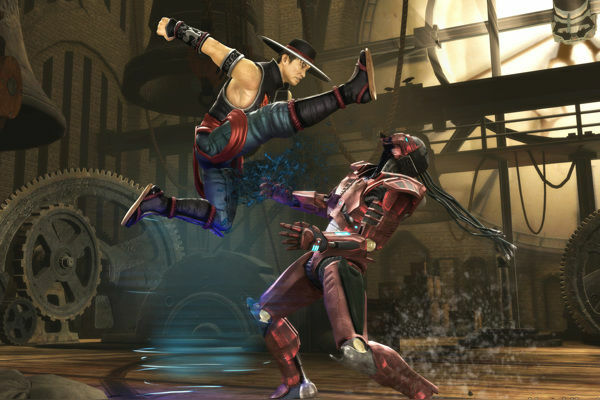 Mortal Kombat's My Kung Fu is Stronger is the latter. It requires you to take a character and win 100 times with them, get 100 different -alities (like fatalities or babalities), get 150 X-ray attacks, spill 10,000 pints of blood in battle, and play as them for at least 24 hours. Those requirements for just one character are crazy enough. 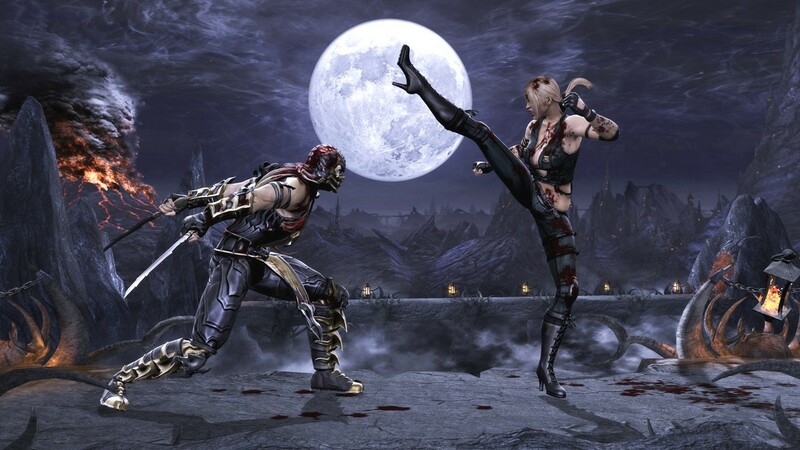 The actual "okay, that's way too nuts" portion of this tough gaming task is that you have to do this with not just one character in the Mortal Kombat roster but all of them! That's 28 characters you have to complete this checklist of chores with. While I wouldn't want to perform a fatality on the developers for this kind of obnoxious achievement, I think some form of lesser punishment would be adequate. Next up is a game that has you rocking and rolling, thrashing and shredding, and just laying down the funk no matter which song you play. After you've had some practice, you can attempt the ultimate challenge in Rock Band 2, the one that separates the Jimi Hendrix's to the Milli Vanillis. It's The Bladder of Steel Award, and it's one that lives up to its name. It tasks you with playing through all of the songs in the game in succession, and without being able to pause. No, you cannot disconnect your controller, and no, you cannot hit your system's guide button. 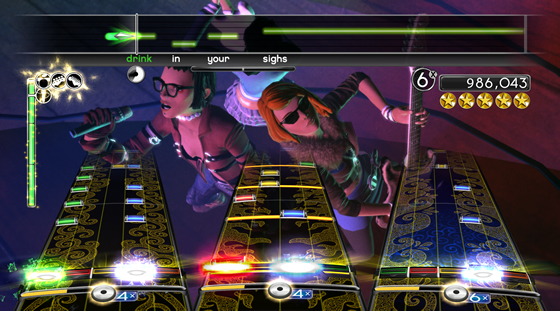 Harmonix was no doubt smart to the various cons players would try to perform to get around the task at hand. The Bladder of Steel Award requires a lot from the player, including an entire morning and afternoon dedicated to completing this task, the ability to play through each song without taking any breaks, the ability to not accidentally hit the Start or Guide buttons when getting ready to unleash your Overdrive, an optional buddy to help you along the way, and yes, the eponymous bladder of steel. (Or maybe you can have a friend hold a cup in front of you, but that would just be weird.) Regardless, make sure you have the time and the motivation if you want to even dare to complete this achievement. 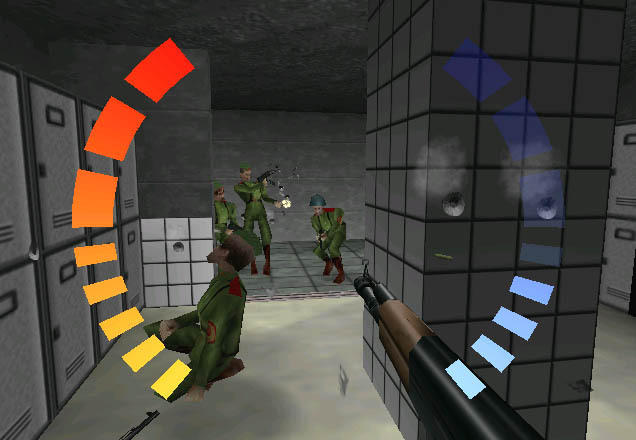 Beyond the multiplayer modes of GoldenEye 007 was a single player campaign, one that featured an impressive array of objective-based missions that closely followed the events and locales of the 1995 film. The campaign itself was pretty challenging but more so with the hardest difficulty, 00 Agent. 00 Agent met players with harder enemies, less health for James Bond to work with (and by design, there was no regenerating health, only occasional body armor to utilize), more objectives to complete, and death coming faster than you can blink. It all added up to a difficulty that almost required players to exploit the AI to overcome the hardships of this mode, especially in the Aztec level, one of the hardest levels in an FPS to this day. 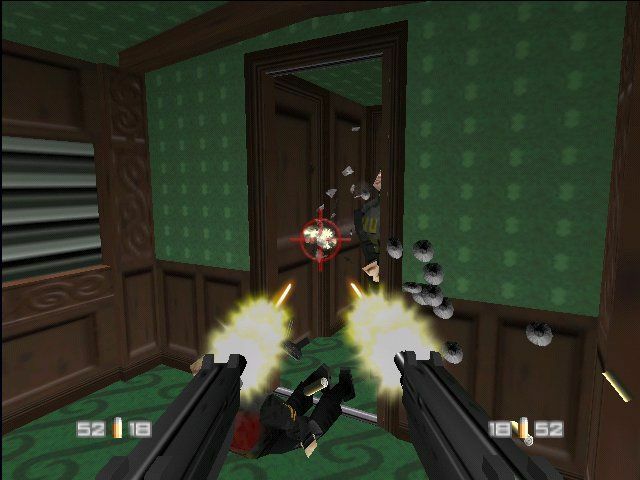 If you managed to beat GoldenEye 007 on the most challenging difficulty, then you definitely deserved your 00 status! 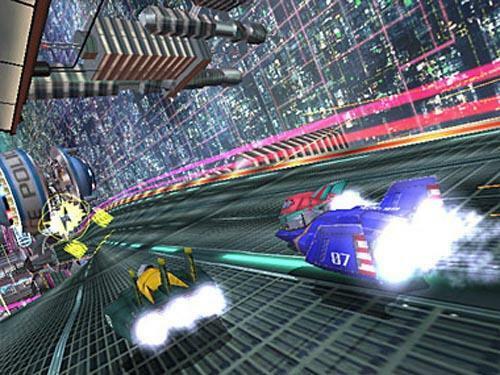 I reviewed a hard-as-nails futuristic racer last week, but that isn't quite on the same level in quality and challenge as F-Zero GX, one of my favorite arcade racers of all time. This Nintendo and Sega team-up brought blistering fast racing, gorgeous visuals, a stunning soundtrack, and a mighty stiff difficulty that challenged even the best of racing game players. There are actually two tasks in F-Zero GX that are incredibly hard to do. The one I will focus on relates to the Story Mode, which is nine chapters starring Captain Falcon as he is tasked with completing varying mission goals, such as collecting doodads around a track before time runs out, cautiously racing through a section of track without dealing much damage to his vehicle (else the bomb attached to it will explode), and taking on various AI rivals. The Normal difficulty poses a good deal of challenge already. It's when you get to the Very Hard difficulty, the one that unlocks a new racer for every mission you complete on that difficulty, that will send the calmest of players raging and wanting to chuck their controller at the screen. Yes, as I said, the rewards for completing Very Hard are very good, but the arduous task and amount of practice required to get them is one of my biggest personal gaming achievements. But it's also one I have no desire to ever try to do ever again! Simply beating a game in the Contra series is already difficult enough of a challenge for even the most seasoned of action game players. Contra: Shattered Soldier on the PlayStation 2 kept that tradition very much alive with its classic unforgiving level of challenge given a more modern presentation with its 3D polygonal characters and environments. 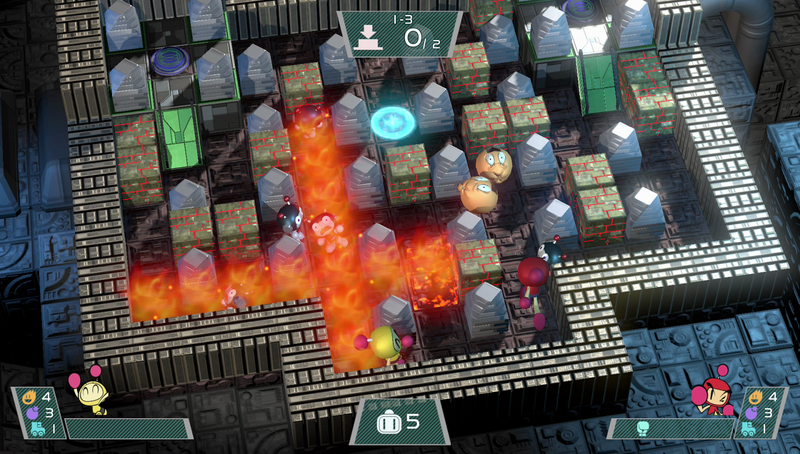 Shattered Soldier offered a nastier challenge for players other than simply beating the game. That was to beat the game with an S-Rank overall. How was this accomplished, you ask? Essentially by shooting and destroying anything and everything that moved-- and then some! This increased your personal Hit Rate in a level, and the goal was to at least get 97% per level to get an S-Rank. As each death that you faced meant your overall Hit Rate would decrease, you could basically only die once per a given level to keep your Hit Rate at above the required amount to keep your S-Rank dreams alive, and the ability to view the game's best ending. 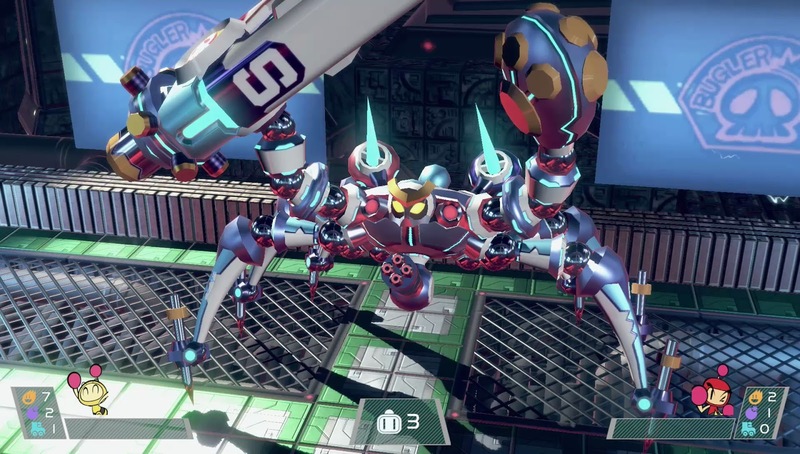 Requiring machine-like responsiveness and the ability to remember each level from top to bottom (jumps and enemy placement, for starters), getting the S-Rank was a hard task in an already hard game. Sonic the Hedgehog's newest 3D entry, Sonic Forces, had debut footage last week at a SXSW panel. With the prospect of a new Sonic coming fresh in my mind, it seemed like an opportune time as any to take a look at past 3D Sonic games with a special SuperPhillip Central top ten list. Sonic the Hedgehog has had it rougher than most franchises trying to transition from 2D to 3D. Some of his attempts were quite good. Others? Not so much. This list details some of his best and brightest as well as some of his worst and wackiest. Let's start with an entry on this list that more closely walks the line between a good Sonic game and a bad one. 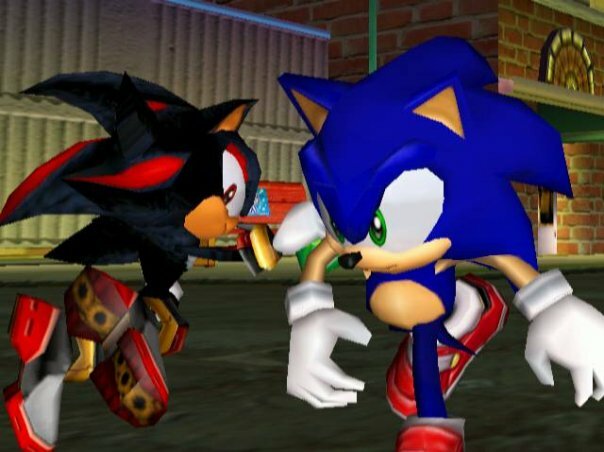 Sonic and the Black Knight continued the fairy tale series of the games that was established Sonic and the Secret Rings. Unlike Secret Rings, however, Black Knight wasn't an on-rails game. It was controlled with both the Wii Remote and Nunchuk, using the analog stick for Sonic's movement and the Wii Remote to use Sonic's sword. 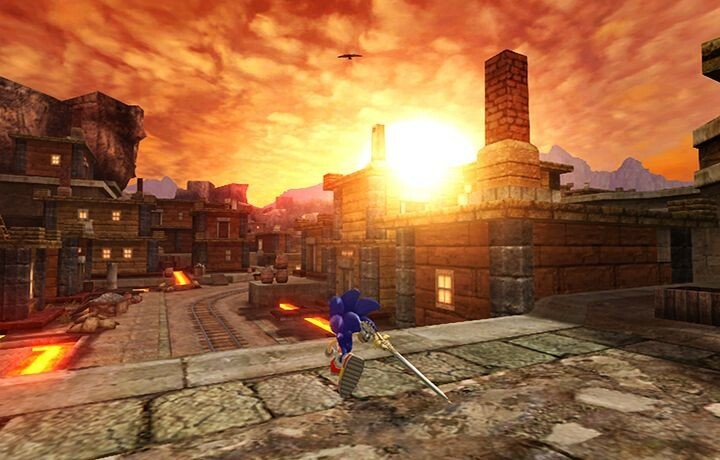 Yes, Sonic had a sword in this game, which started off the "okay, this was probably a bad idea for a game" line of thought that most players had with Black Knight. 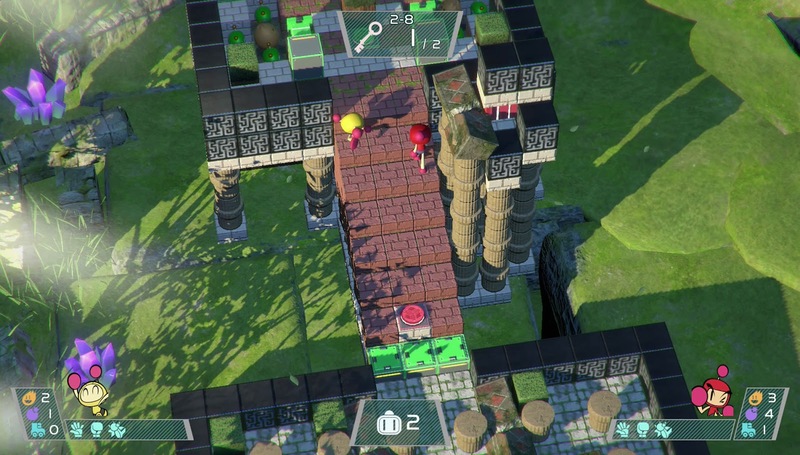 While the level design offered more in the way of exploration, the controls themselves weren't as responsive as many would have liked. It made for a game that was sometimes frustrating and never quite as precise as players craved. 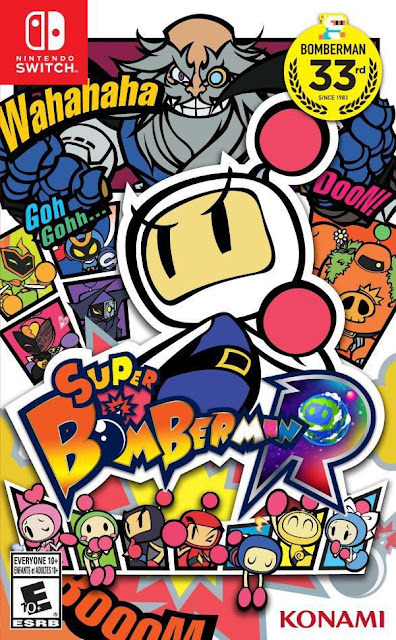 Here's a game that's a bit of a guilty pleasure for me, or at least it was back when I originally played Shadow the Hedgehog. It's a game in the darkest era of the 3D Sonic games, coming out near the 2006 abomination on then-next gen consoles. What can you say about a game with a hedgehog with enough edge to be a Gillette razor using guns, driving motorcycles, and with a story that takes itself way too seriously? You can say a lot of things, all really bad (like wow, how edgy, how cringe-inducing), but overall, Shadow the Hedgehog wasn't overly awful. The level structure had players choosing between doing one of two tasks (one good, one evil), which determined which level they would move onto next. 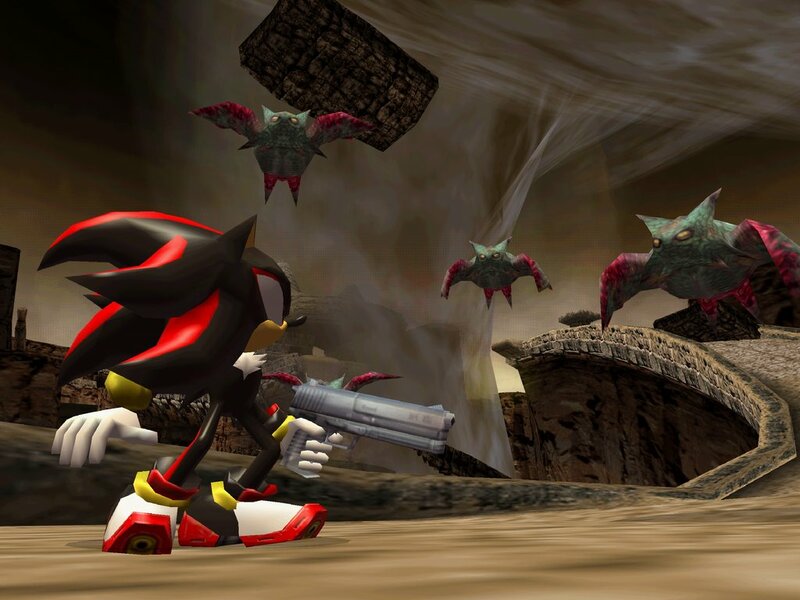 With multiple endings to the game based on these choices, Shadow the Hedgehog certainly contained lots of longevity for those that could stomach the game. 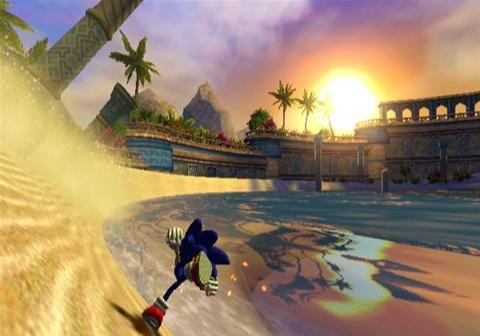 The developers behind Sonic Adventure had a good amount of pressure when developing this game. Not only did they have to create a competent transition from 2D to 3D for Sonic much like Nintendo did with Mario with Super Mario 64, but they had to make a killer app to debut with Sega's Dreamcast. Overall, they nailed the latter point. The former? Maybe not so much, especially now that a lot of time has passed since. Sonic Adventure featured six characters to play as, each with their own level goals and play styles. While Sonic was a speedy trip through levels, Knuckles needed to search 3D areas for rare treasure, and Omega was required to lock on and blast foes through linear levels. 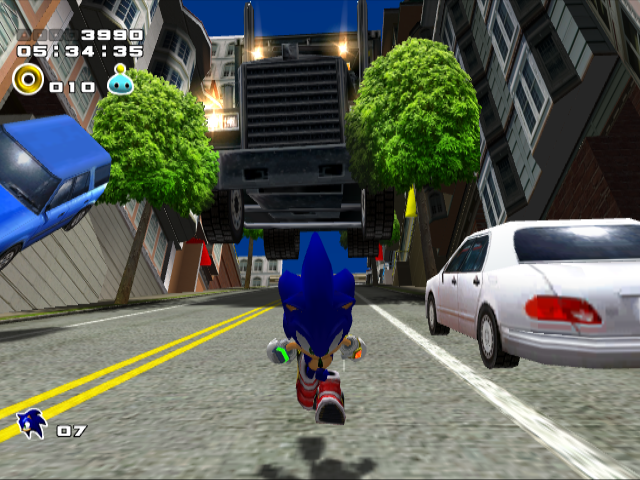 What was impressive then isn't so much now, and even then, Sonic Adventure possessed plenty of problems such as an annoying camera, various bugs and glitches, and having to play as Big, which made the pace of Adventure slow to an almost full stop. I mentioned Sonic the Hedgehog (2006) earlier. 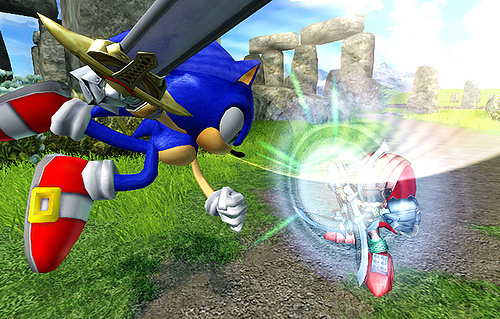 Sonic and the Secret Rings had part of that game's development team picked from it to work on this Wii exclusive title. The story took Sonic into the fairy tale world of the Arabian Nights, doing his best to save the magical world from being erased by a djinn tyrant. 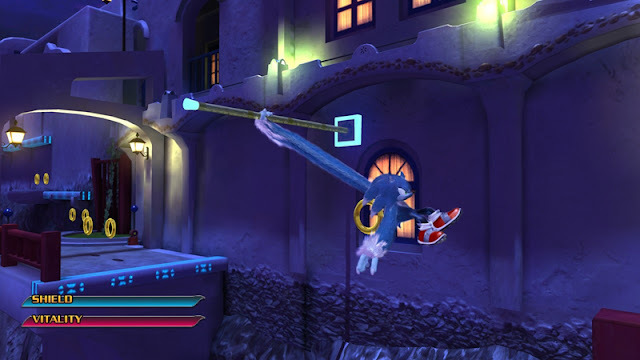 Taking the Wii Remote's motion control functionality and using it to craft a unique Sonic game, players tilted the controller to move left and right down on-rails style levels, making Sonic's mobility a lot more limited than in other games on this list. Still, levels played out relatively well, and with the customization system available in the game, Sonic could get updated to feel extraordinarily nice (he's a bit sluggish in the beginning). 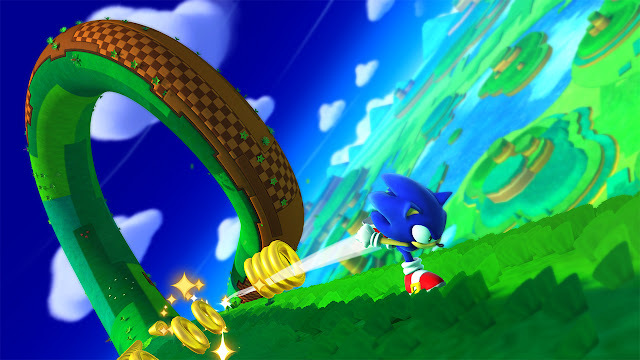 Sonic and the Secret Rings doesn't have the traditional feel or freedom of a 3D Sonic, but that doesn't make it a bad game by any stretch of the imagination. Anything's possible through the power of teamwork! That's the mantra of Sonic Heroes, the first all-new 3D Sonic game in what was a good while after Sonic Adventure 2. 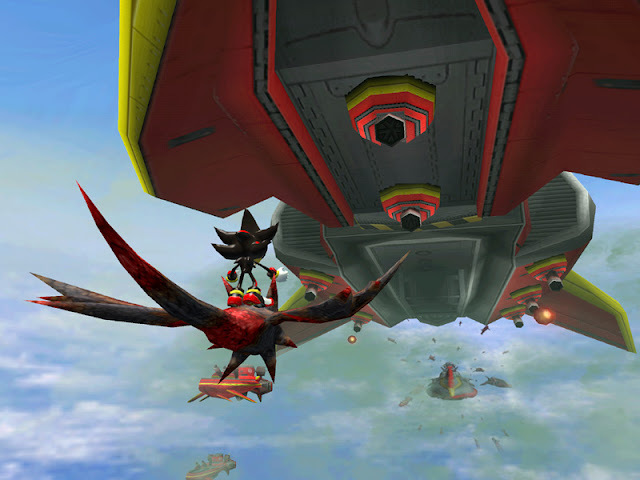 Sonic Heroes contained four teams of three to play through the game's dozen+ levels. 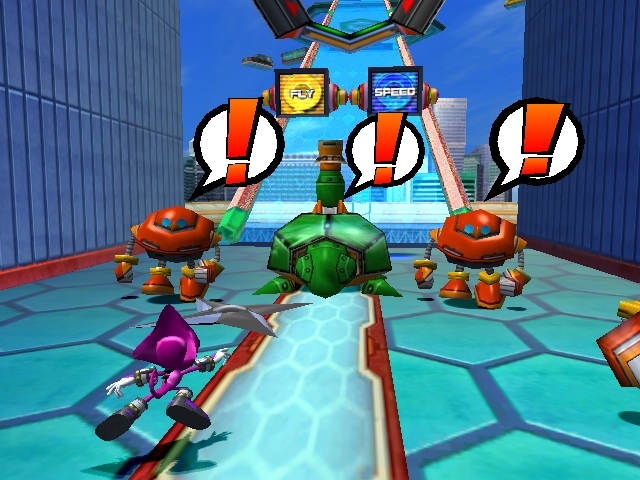 Each team had a character of these types: speed, power, and flight, and players could switch between these characters on the fly when the necessity presented itself. The teams consisted of Team Sonic (Sonic, Tails, and Knuckles), Team Dark (Shadow, Rouge, and Omega), Team Rose (Amy, Cream, and Big), and Team Chaotix (Vector, Espio, and Charmy). 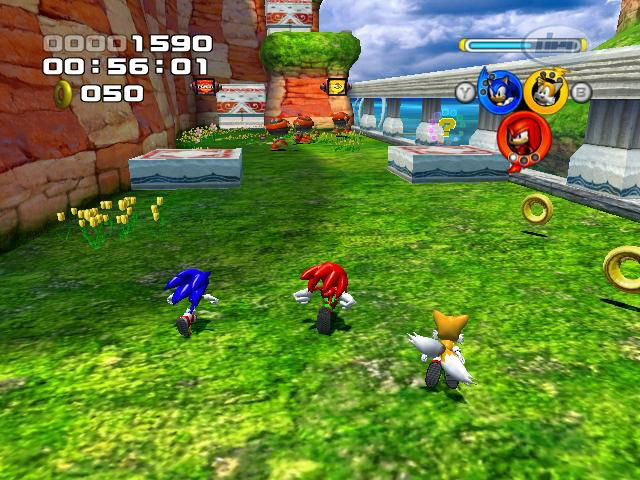 Sonic Heroes sort of possessed the two act system from the 2D Sonic games, as there were two levels with a common aesthetic theme followed by a boss battle, and then a new set of two levels were played. 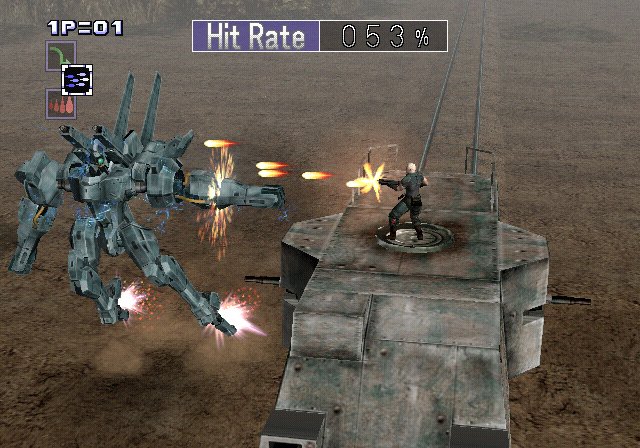 Despite the new team-based mechanic, old haunts from the series remained, such as a poor camera and numerous bugs. Still, I hold fond memories of my time with Sonic Heroes. esign based off Nintendo's Super Mario Galaxy games with floating platforms of varying curved dimensions in the skies of each level. Unfortunately, the execution of Lost World was nowhere near as good as the Galaxy games gameplay-wise. 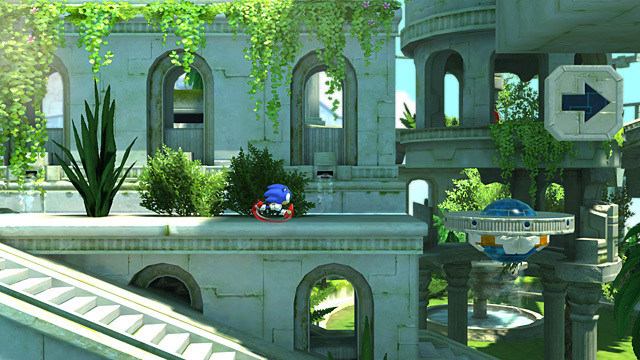 A parkour-like system of movement for Sonic was available, and it took a lot of practice to nail it down. Really, the first half of Sonic: Lost World was quite good and held a great deal of promise, but by the second half, half-cooked or totally uncooked ideas made for a rough go of it. 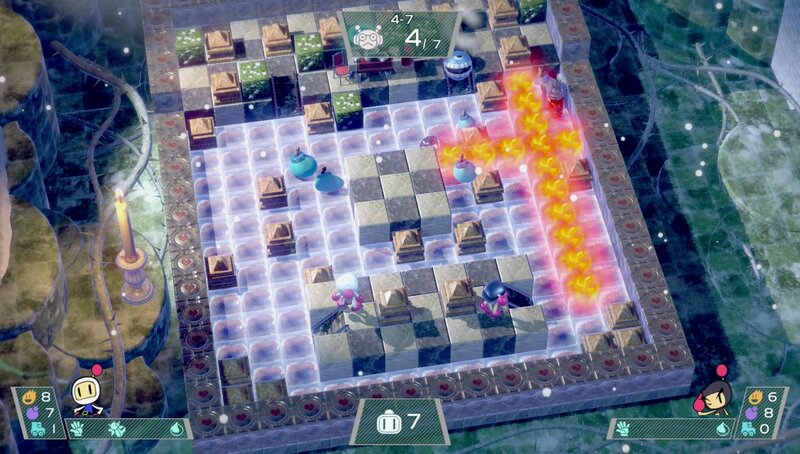 I'm looking at you, Frozen Factory pinball stage, Lava Mountain boss fight against Zavoc, and more! While I enjoyed the game overall, there was definitely room for improvement. 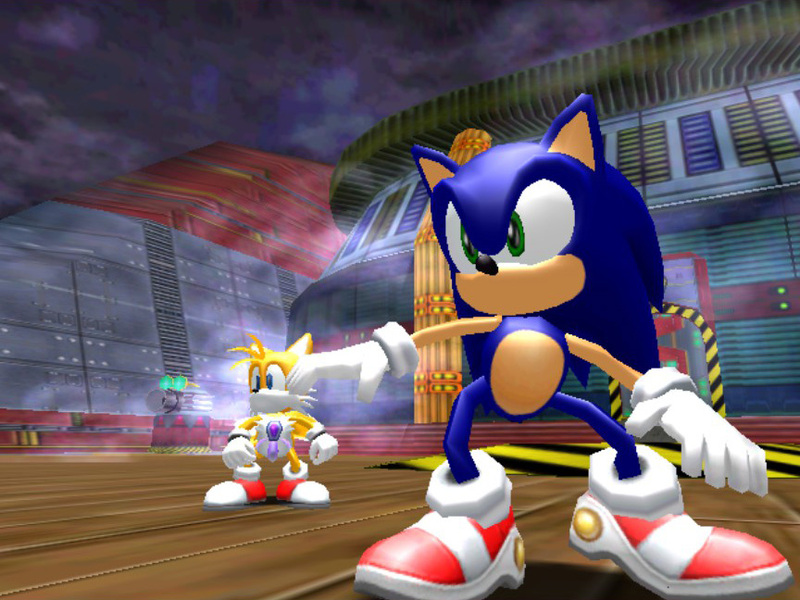 Sonic Adventure laid the foundation for many of the 3D Sonic games that followed. 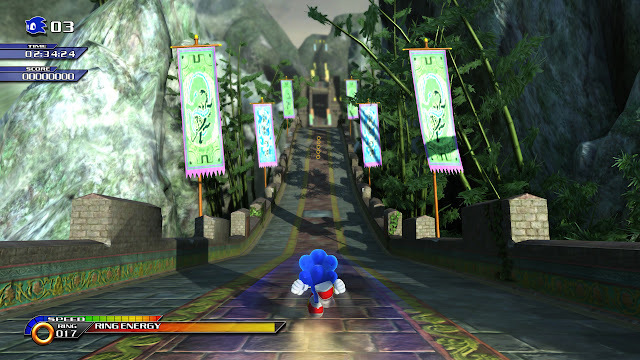 The direct sequel of that game, Sonic Adventure 2, took the foundation and ran with it, offering an abundant amount of content and gameplay. 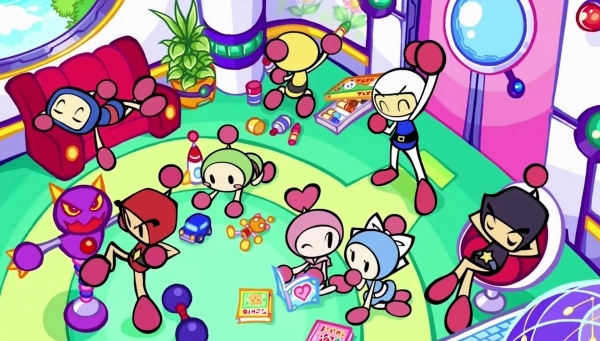 Instead of six gameplay types, there were a more reasonable three, meaning that these were more nuanced in feel and design, though still somewhat problematic at times. There were your standard speedy Sonic levels (sporting some of the most memorable levels in Sonic series history); there were levels where Tails or Eggman piloted mechs, locking onto and blasting away at foes; and there were treasure hunting levels where Knuckles or newcomer Rouge moved through 3D arenas searching for pieces of the Master Emerald. Combine these two stories, the hero and the dark sides, and a highly addicting Chao Garden attraction with mini-games, and you have a popular game within the Sonic fandom. 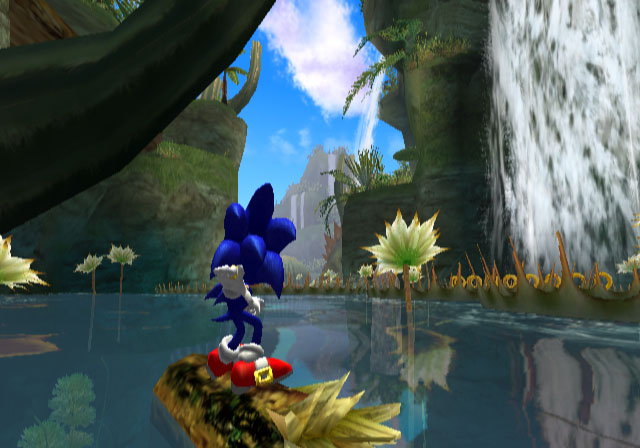 What could have been a truly masterful 3D Sonic game was brought down by the need to add some kind of gimmick to it. 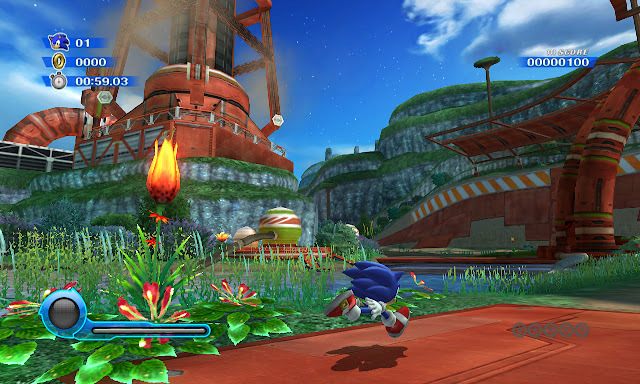 Sonic Unleashed's daytime stages, where Sonic rushed and platformed through gorgeous levels, were absolutely divine gameplay experiences. What brought the entire Sonic Unleashed experience down, however, was the gameplay seen in the nighttime stages, the dreaded Werehog. This brought the fast pacing of Unleashed down to sluggish at best levels. 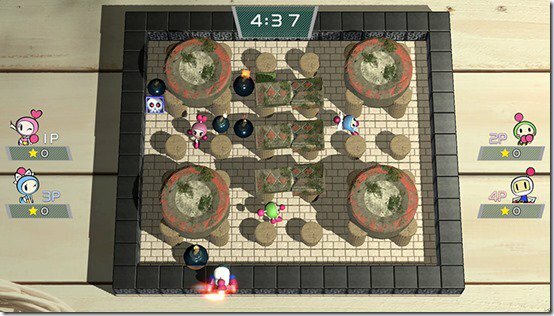 It turned the game into a slow brawler with some very frustrating platforming portions. That said, it says something about Sonic Unleashed that the daytime Sonic levels are so good and enjoyable that they keep the game from being bad despite the Werehog portions of the game, and they are portions that I truly dreaded playing. The HD versions of Unleashed and the Wii version have different levels to them-- all named the same but different in design-- so it's worth checking out both games if you have the time. After Sonic Team tripped themselves up with the Werehog mechanic in Sonic Unleashed, the team's next title managed to be a seriously good game-- and that's without any asterisks like "seriously good for a Sonic game"-- it was just seriously good in general. 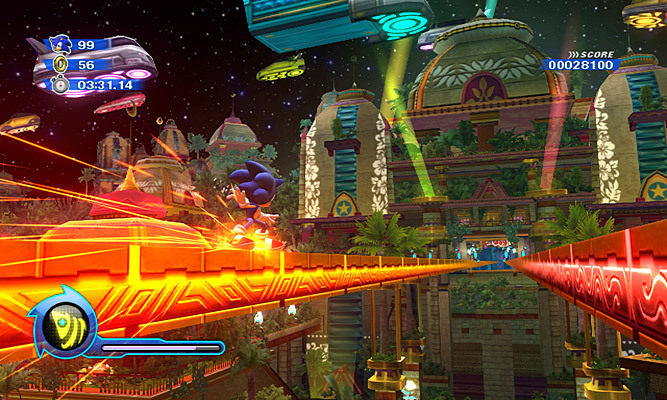 Sonic Colors saw an impressive blend of 3D Sonic with some 2.5D design brought in for pleasant measure. 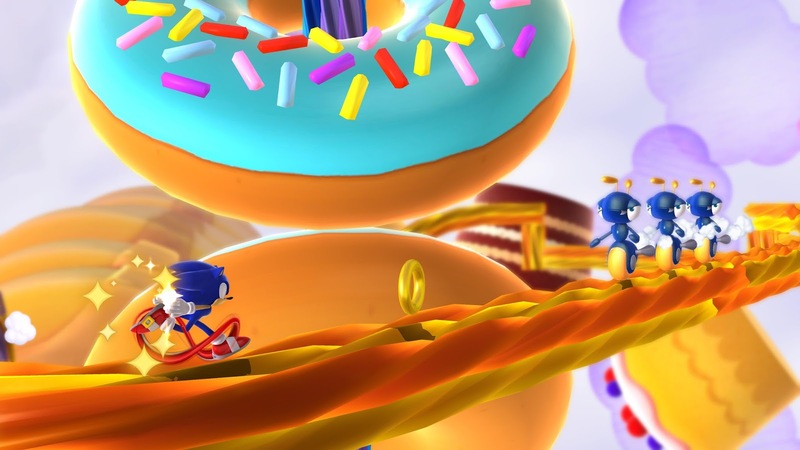 There was some fear there when Sega and Sonic Team announced the implementation of a new feature called Wisps, as in the past, any new feature generally brought the overall game. However, Wisps lent themselves well to the overall game, allowing Sonic a myriad of powers and abilities based on the Wisp type. 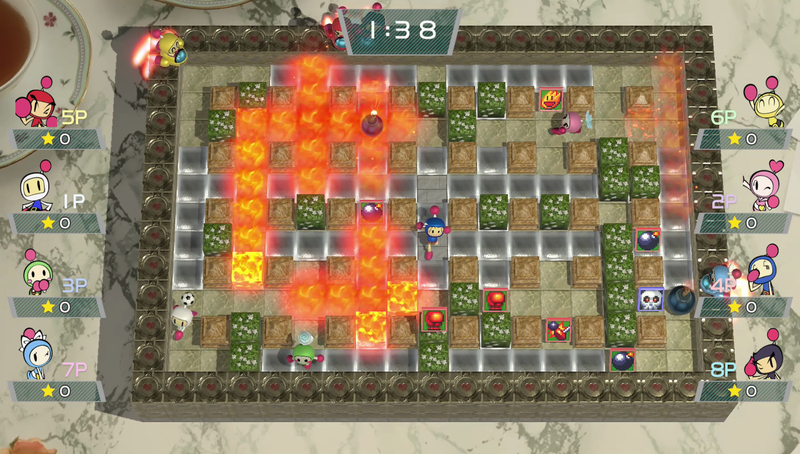 The level design featured a mix of short and sweet levels as well as lengthier, traditional affairs. Sonic Colors also wasn't overly serious to a point of being absolutely ridiculous. 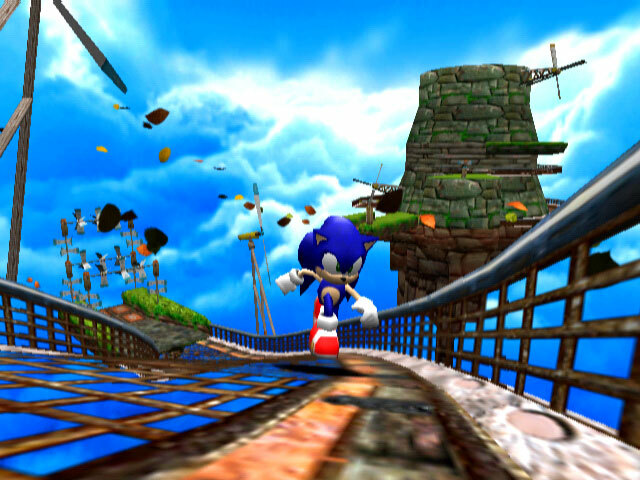 Overall, Colors was a terrific 3D Sonic game, something that Sonic Team hadn't been consistent at making. A 20th anniversary Sonic the Hedgehog game, Sonic Generations brought the worlds of Classic Sonic and Modern Sonic into one stellar and speedy experience. 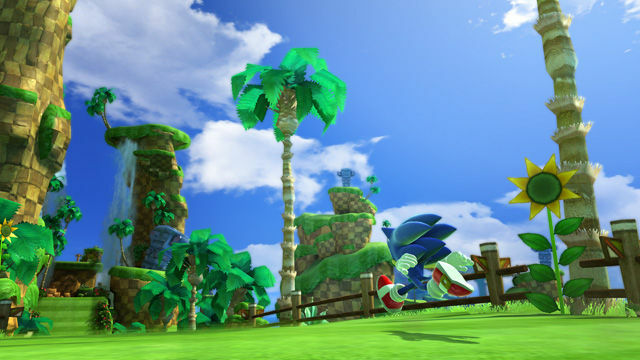 Taking levels and zones from Sonic's past and present, Sonic Generations was a wonderful love letter to Sonic series fans, many who had been disappointed time and time again by Sonic Team's efforts. Thankfully, this effort was hardly a disappointment, offering mostly 2D gameplay with Classic Sonic and more 3D-style gameplay with Modern Sonic. Whichever Sonic was controlled by the player, they were going to get a highly capable, highly competent Sonic the Hedgehog game more than worthy for the 20th anniversary. Here's hoping that Sonic's upcoming entry, Sonic Forces, gives the franchise the game both the fans and the franchise deserve. We go from a character showcase to a weapons showcase, showing off some of the different arms that can be equipped in battle. From the three-shot Revolver to the curved arc of the Boomerang, the arsenal of weaponry and arms is shaping up to be mighty interesting. As stated earlier, Arms is due for a release later this spring. The first of two trailers presented by Nintendo for the upcoming game for Switch, Arms, this one goes into detail about the five currently confirmed characters for the game. We have Spring Man, Ribbon Girl, Ninjara, Master Mummy, and Mechanica so far. Arms is due out this season. It's officially the first day of spring here in Central City! The temperatures will get warmer, the flowers will begin blooming, and the skies will shine brighter. Oh, and SuperPhillip Central's Favorite VGMs are only going to get better! Okay, maybe they'll stay as awesome as they were before. I don't want to over-promise here! This first day of spring edition of SuperPhillip Central's Favorite VGMs begins with a upbeat city theme from the new batch of Pokemon games, Pokemon Sun and Moon. 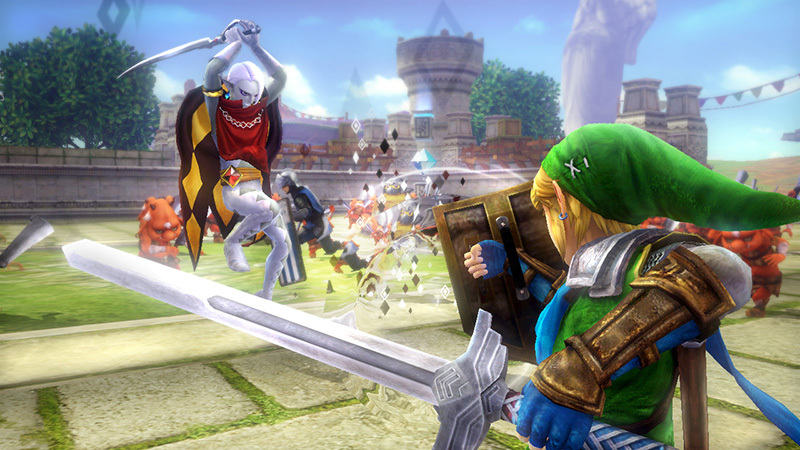 Then, we kick it up with some hard rock from Hyrule Warriors. Dragon Quest V: Hand of the Heavenly Bride soon follows with a delightful town theme, and 7th Dragon III: Code VFD and The Last Remnant close this edition with equally intense battle themes! And you know the drill by now, but even if you don't-- just click on the VGM volume name to hear its song, as well as look at the VGM Database for all past VGM volumes. Now, let's get on to the music! It might be the first day of spring here in Central City, but here's a song that's much more fitting for the summer. It's a Hawaiian inspired ukulele-driven theme for Hau'oli City's day version. It's a relatively short theme in how quickly it repeats, but it's not a problem since it's so darn catchy. Get mellow as you prepare for your Pokemon journey! Master, there's a 100% chance that these renditions of The Legend of Zelda: Skyward Sword's Skyloft town and Ballad of the Goddess themes are absolutely awesome. Hyrule Warriors was a delight for Zelda franchise fans, and it was one of the more enjoyable Musou-style games for me because of its source material. Everything from the characters, to the settings, to the items, to the music was all incredibly wonderful and a divine love letter to Zelda fans. 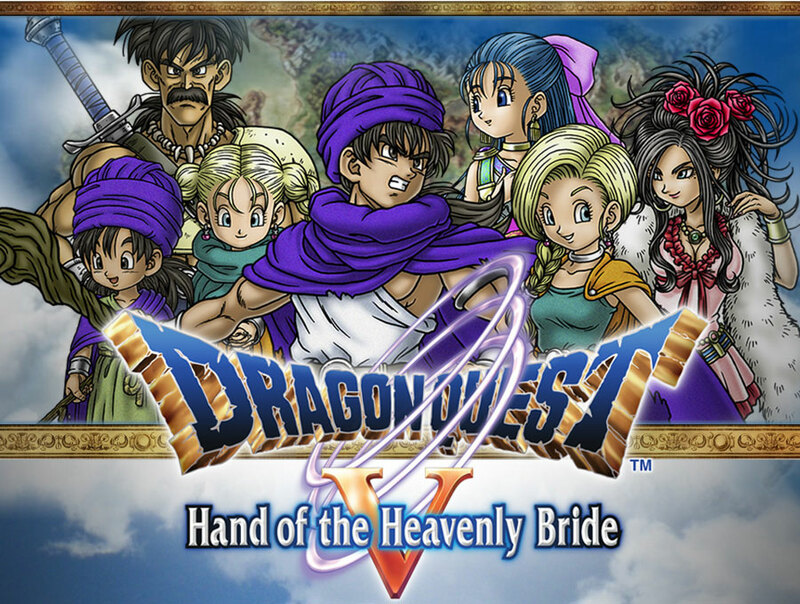 With Dragon Quest XI being hotly anticipated by many RPG fans around the world (mostly in Japan), I wanted to showcase one of the better classic entries in the franchise, Dragon Quest V. Western gamers didn't get a chance to play a localized version until it arrived on the Nintendo DS courtesy of Nintendo and Square Enix with Hand of the Heavenly Bride. 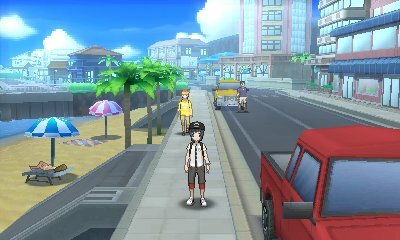 This town theme brings such a warm feeling to my weathered old heart. The name of the game might be a mouthful to say (and a confusing thing to remember if you're trying to type it like me! 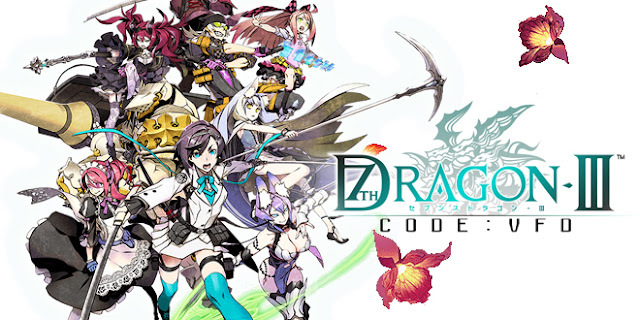 ), but 7th Dragon III: Code VFD is a tremendous RPG for the Nintendo 3DS, which is a piece of hardware that has no shortage of amazing games in its vast library. Code VFD's soundtrack, as exemplified by this tense battle theme, is an astonishing body of work, and it makes me want to play the game right now. From one climactic theme to another, we turn our attention to The Last Remnant from Square Enix. 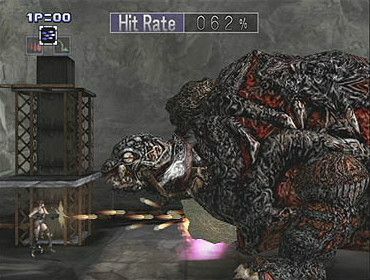 The Last Remnant was one of the Xbox brand's attempts to seriously branch out to the Japanese market. I really wish Microsoft didn't complete forgo trying to breach the Japanese market like they stopped doing with the Xbox One. 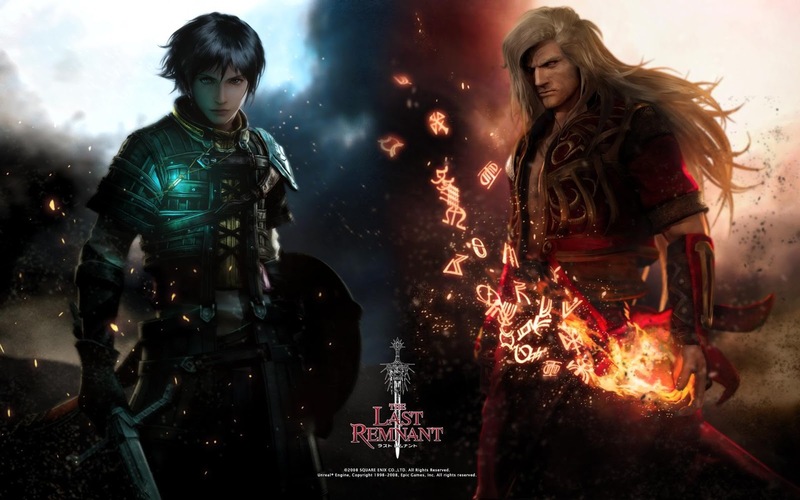 That's a topic for another day, as we're here to listen to some awesome music, and this rocking theme for one of the big battles in The Last Remnant is an epic masterpiece.